A man entered the Capital One Bank on Middle Country Road and verbally demanded money, cops say. SCPD are investigating a robbery at Capital One Bank in Centereach. Centereach, NY - April 27, 2017 - Suffolk County Police Major Case detectives are investigating a robbery that occurred on Wednesday, April 26 at a Centereach bank. A man entered the Capital One Bank, located at 2100 Middle Country Road at approximately 3:25 p.m., displayed a note and verbally demanded money. The teller complied with the suspect’s demands and gave him cash from the drawer. The suspect fled the bank on foot. The suspect was described as a white male in his mid to late 20s, approximately 5 feet 6 to 5 feet 8 inches tall, with a very thin build and a buzz cut. He was wearing a black and grey hooded-sweatshirt, black baggy pants, a black baseball cap, and wool fingerless gloves. Detectives are asking anyone with information on this robbery to call the Major Case Unit at 631-852-6555 or Crime Stoppers at 1-800-220-TIPS. 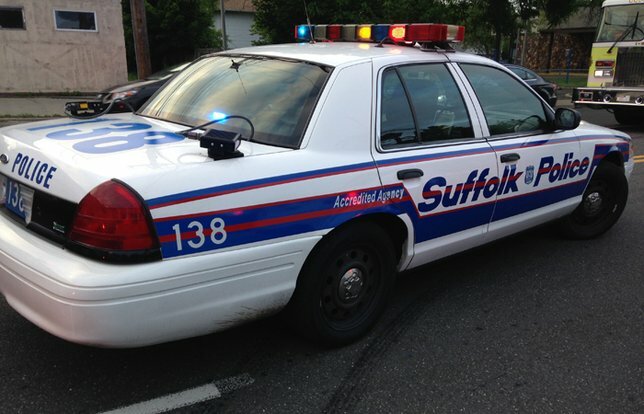 Subject: LongIsland.com - Your Name sent you Article details of "Centereach Bank Robbed; Suffolk Police Currently Conducting Seach for Lone Suspect"